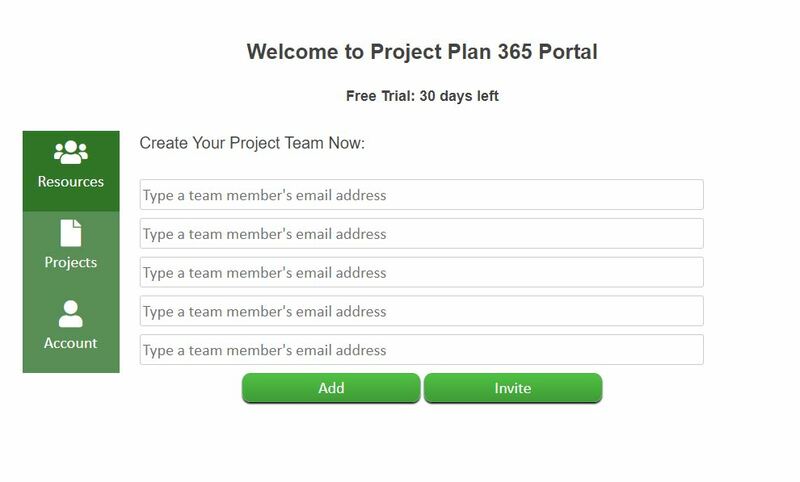 TIP: If you're looking for how to sign up to Project Plan 365, see Sign Up to Project Plan 365. 2. Sign In with your email and password. If you don't have an account, go to Sign Up page. 3. After you signed in on Online Portal, there are three ways to start your own business. 1. Go to Account page. 2. Click on Upgrade to Business button. 3. A pop-window like below will appear to enter your business name. If you previously saved files on My Projects - Drive 365 folder, you are asked if you want to move these files into your business folder. 4. Enter your business name and click Create button. 5. 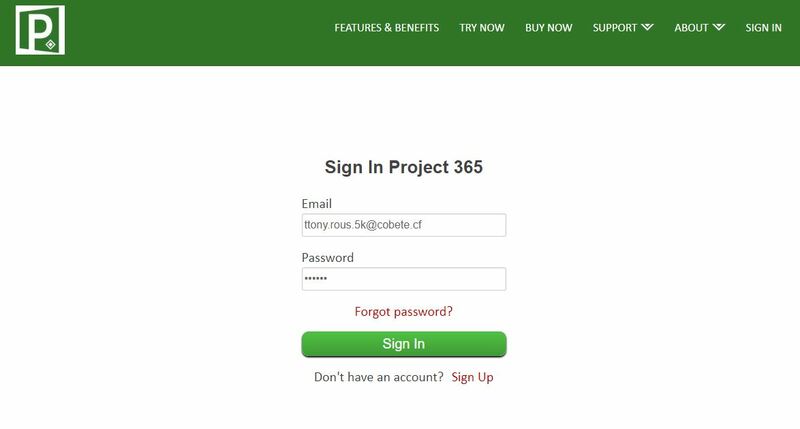 After this, in Account page you will see that you started a 30 days free trial on Business Subscription and in top left corner you will see a link with your Business Name. 1. Go to Resources page. 2. 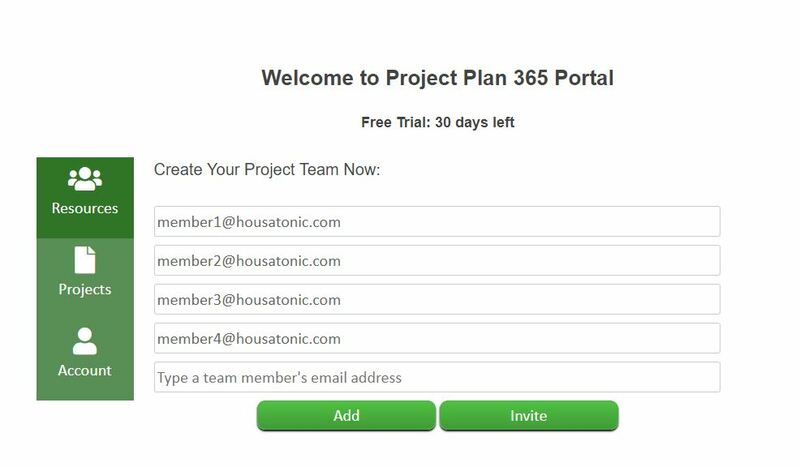 Insert the email address for each team member that you want in your business. 3. Click Invite button. A pop-window like below will appear to enter your business name. 5. After this, in Account page you will see that you started a 30 days free trial on Business Subscription and in top left corner you will see a link with your Business Name. All invited resources will receive an email to join the business you created. 1. Go to Projects page. 2. A pop-window like below will appear to enter your business name. 3. Enter your business name and click Create button. 4. 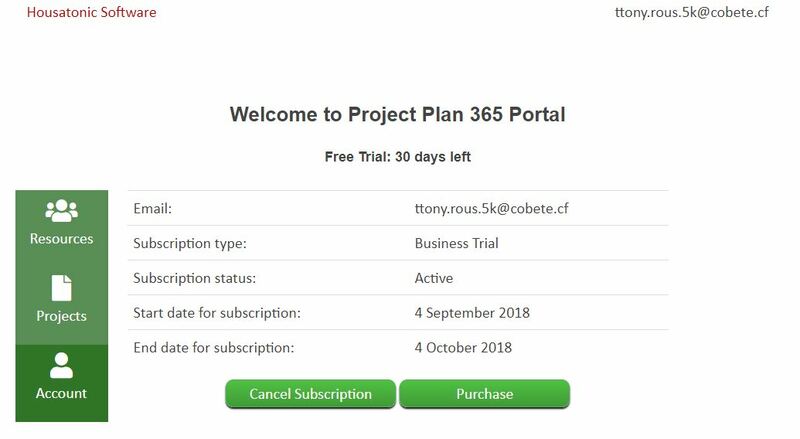 After this, in Account page you will see that you started a 30 days free trial on Business Subscription and in top left corner you will see a link with your Business Name.